There are lots of people hurting today. Some so painfully they don’t know if they’ll make it. It may be hunger. Political oppression. Grief. Depression. Loneliness. Addiction. Or meaninglessness. You bring healing to the hurting in their most desperate hour – deep, deep healing that really changes them. You bring transformation to the hurting in their most desperate hour – profound transformation that changes them forever. And You bring hope to the hurting in their most desperate hour – true hope that allows them to persevere until they find new life. Bring Your healing, transformation and hope to the hurting today. And, if You need me, let me be ready to be Your heart, hands, mouth and feet. Whenever, wherever and with whomever. You mess up yet again, are hurt deeply for the hundredth time or undergo another horrible tragedy. Believe it or not, you can grow from these experiences. In fact, God guarantees it. Not because God engineers everything that happens, because God doesn’t do that. But because one of God’s greatest miracles is taking the worst things that happen in your life and turning them into amazing opportunities to love God, others and yourself more and more and more. So regardless of what happens today – get ready, set and grow. 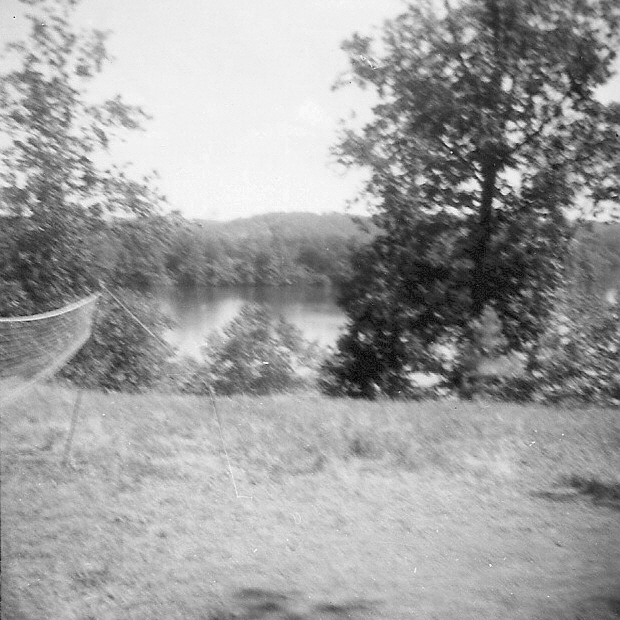 This summer, Camp Tanako celebrated its 70-year anniversary. 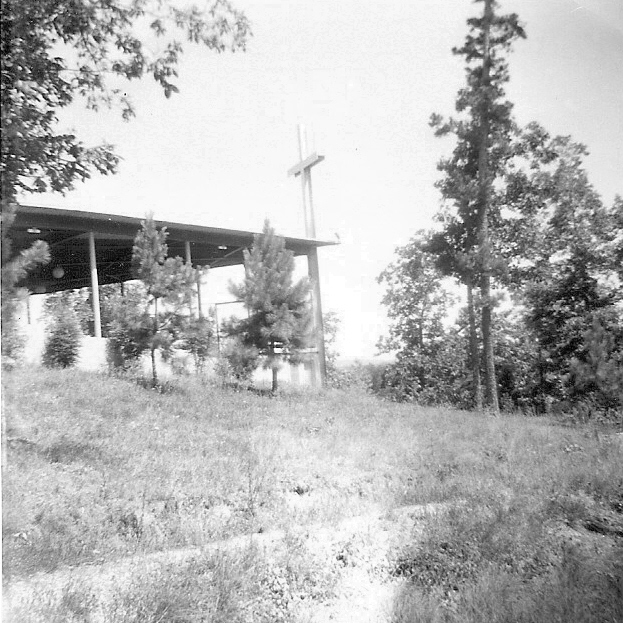 Over the years, the camp has meant many things to many different people, but the overall feeling toward the camp has held consistent throughout generations of campers: a place where people can grow in their faith by experiencing the beauty of God in nature. 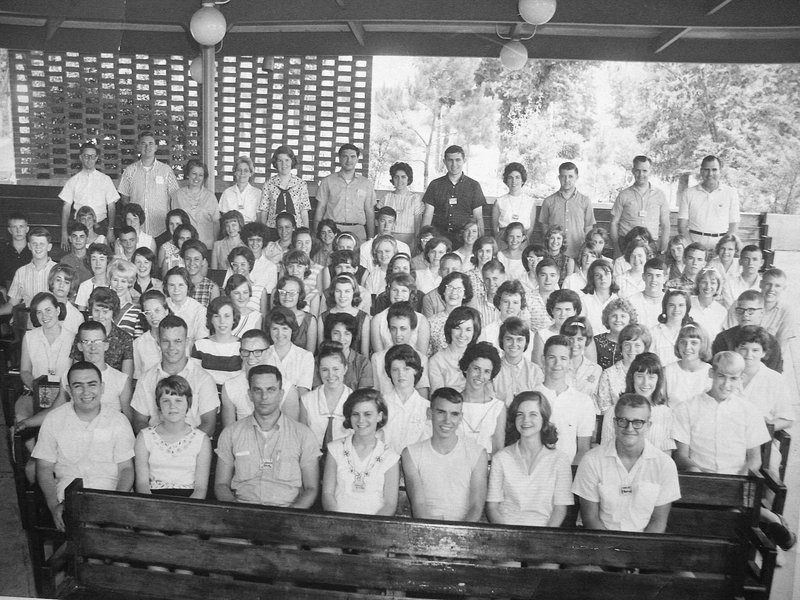 We’ve gathered some of the fond memories from past campers — and current camp deans — along with pictures from the past to attempt to capture what this camp means to so many United Methodists. 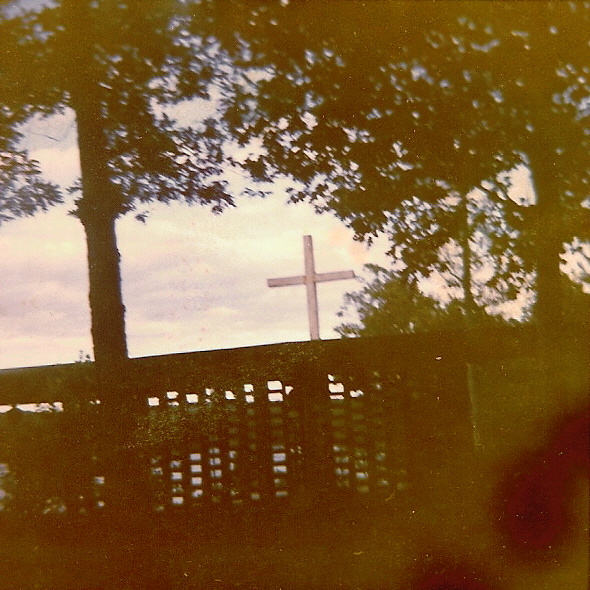 All photos courtesy of the Rev. Hammett Evans. 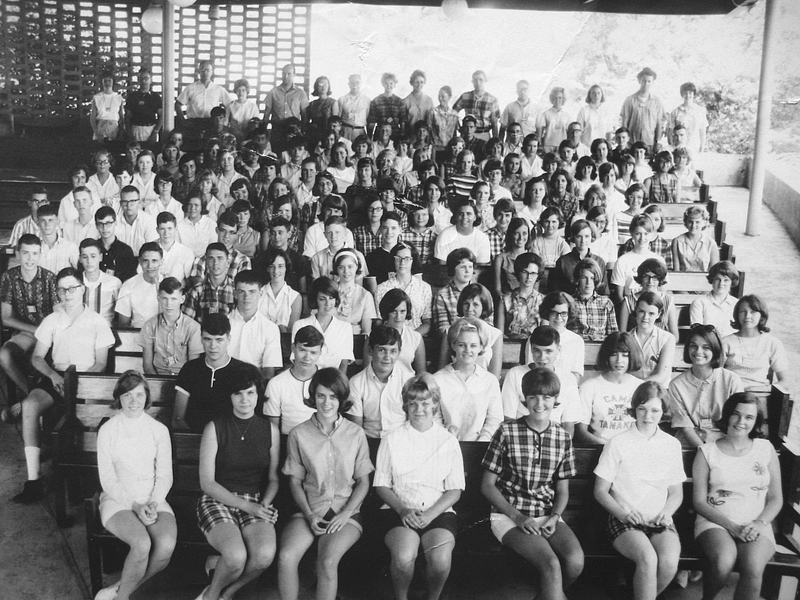 When did you attend Camp Tanako, and did you attend as a camper or as a volunteer? 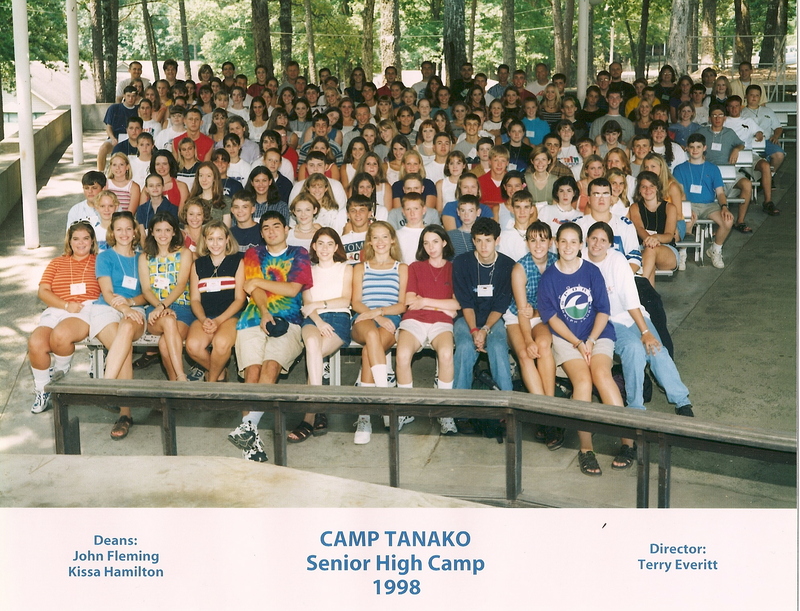 I began attending Tanako in 1963, first as a camper in Junior High Camp and then Senior High Camp and Conference Camp. 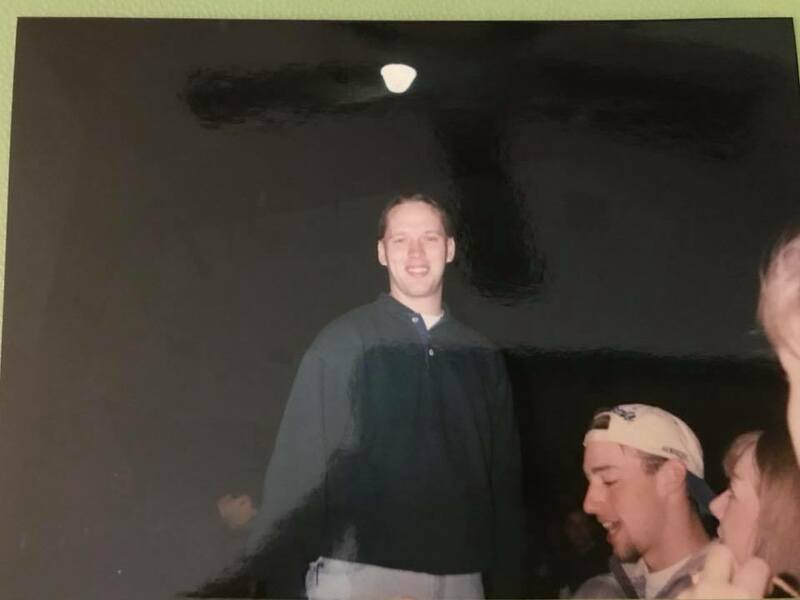 Later, as a young pastor in the Little Rock Conference, I began leading camps and then as the Conference Youth Coordinator I was responsible for planning and leading Conference Camp (a camp for local church UMY leaders). 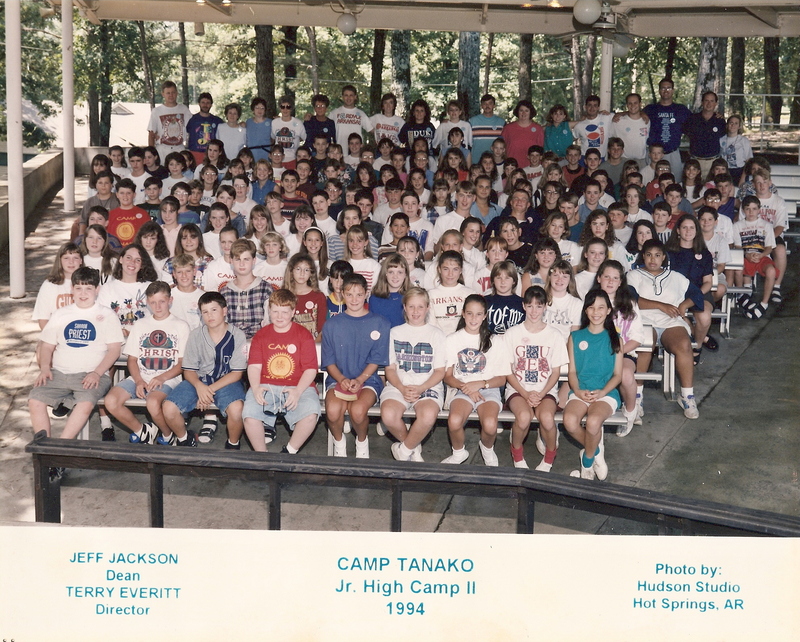 What are some of your best memories of Camp Tanako? 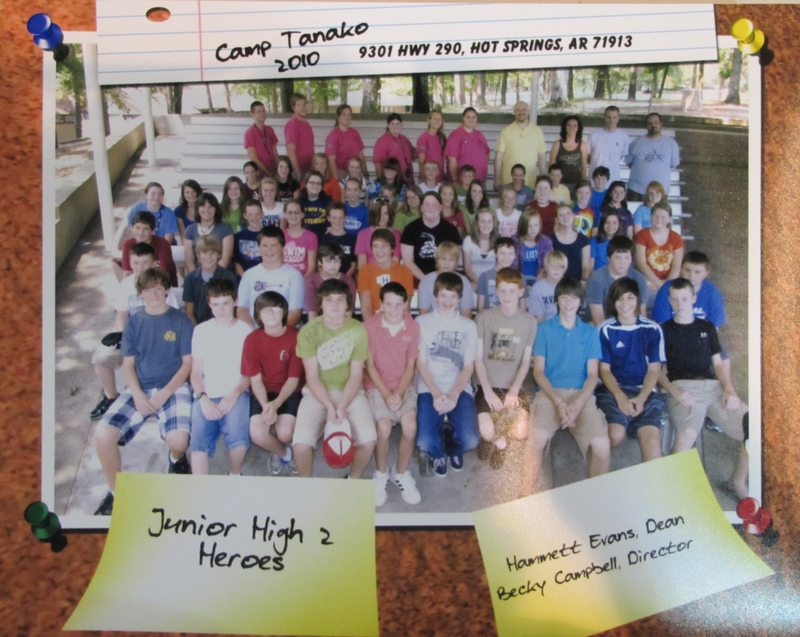 My favorite memories are the people that I met and the lifelong friends made while at Tanako. (Gladwin Connell, John Miles Sr., Ed Matthews, Don Riggin, Billy Boyd Smith) These are people that helped me make significant life decisions and have nurtured me my entire life. I still see people today that were fellow campers at Tanako. We laugh and remember our time together. I do remember the camp songs, skits and the jokes we played on each other. But I guess the most significant thing is the foundation that Tanako gave me for a lifelong ministry in the church. 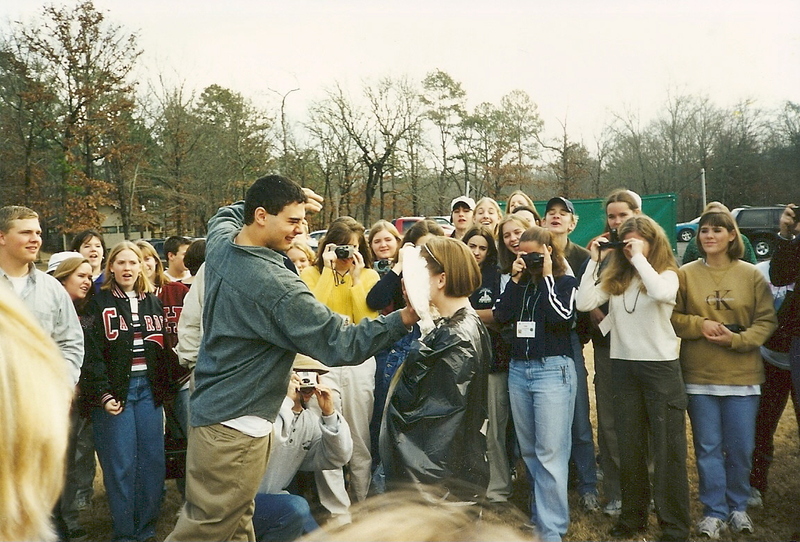 What are one or two stories from your time at camp that you would like to share? Running underwear up the flagpole. Food fight in the Mess Hall. 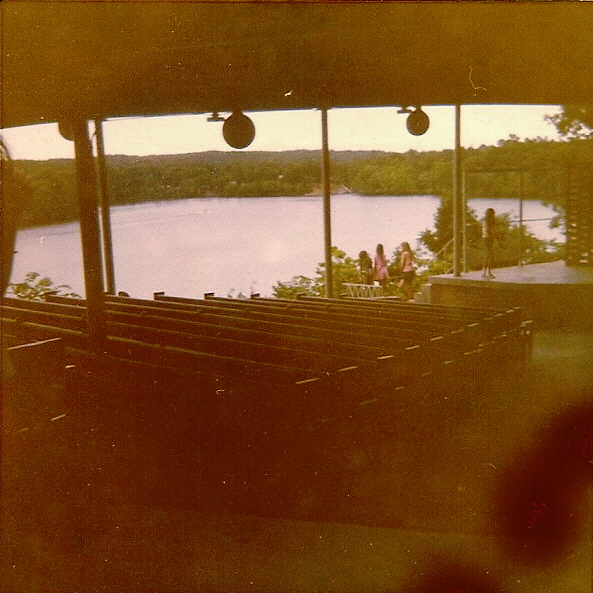 How do you think the camp has changed or stayed the same since you first attended? Tanako is different because the world is different. The curriculum has modified due to the change in society with the attempt to make the Gospel relevant to the youth of today. There has been an expansion of facilities and upgrades. While some of the buildings are still in use when I was there, some necessary updates have occurred. I do believe that some things have remained the same, and I am grateful for them. The caring and challenging staff, the spiritual environment, and the sharing and teaching of the Gospel in an outdoor setting. 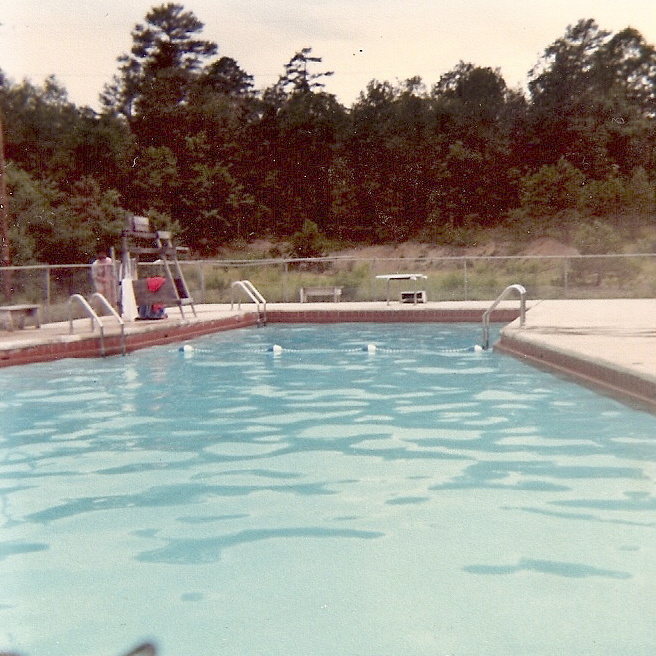 From 1974-1981 I went to Camp Tanako for church retreats (with Hunter UMC in LR and Wesley UMC in Pine Bluff). 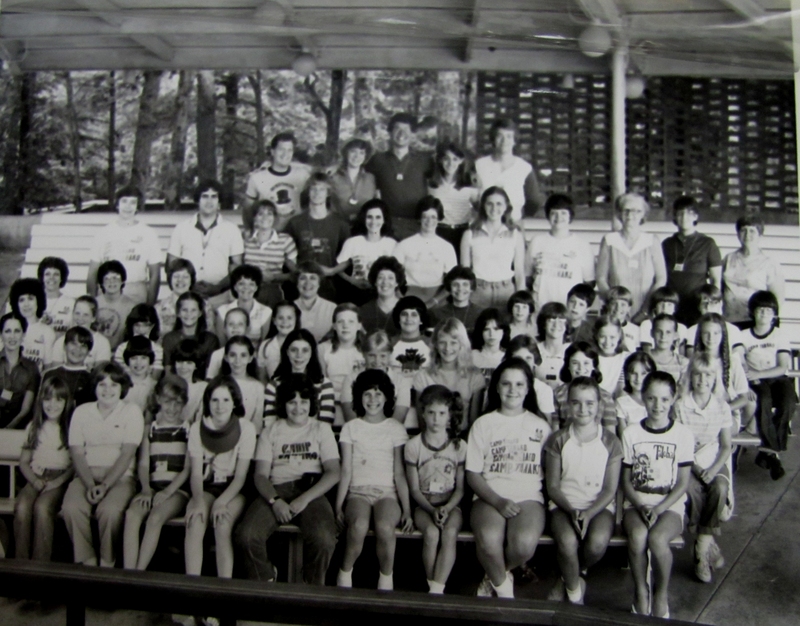 I attended Choir Camp in the summer of 1982 as a camper. 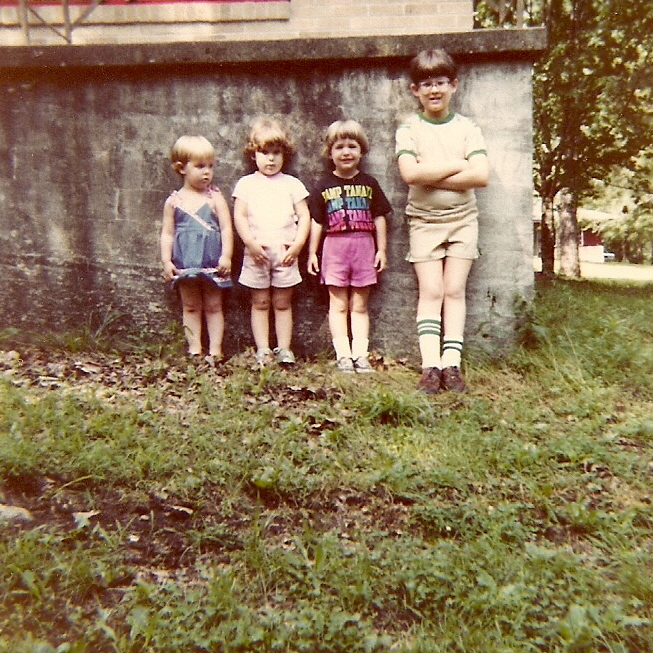 Sometime around 1980, my brother, sister, and I stayed with my mom when she served as a volunteer at Senior High Camp (I remember she led a small group discussion on the Social Principles). 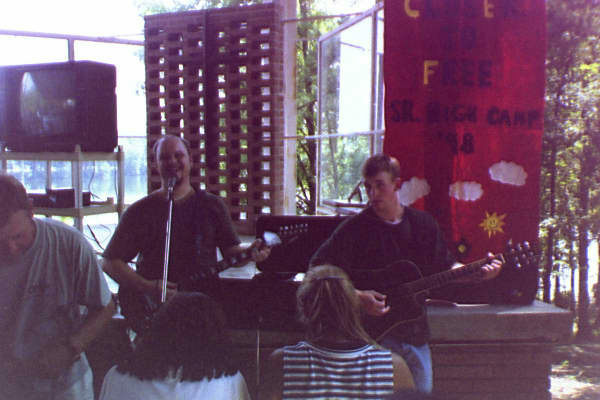 I served as a volunteer counselor from 1993-1995 at Junior High Camp and from 1996-1999 at Senior High Camp (as well as LR Conference Winter Weekends). 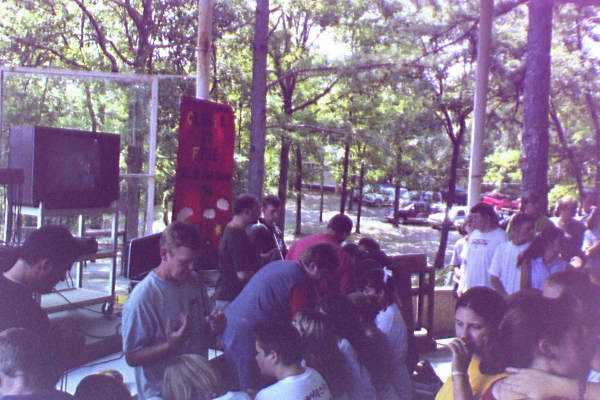 After I got back from seminary, I served as the preacher at Senior High Camp in 2004. 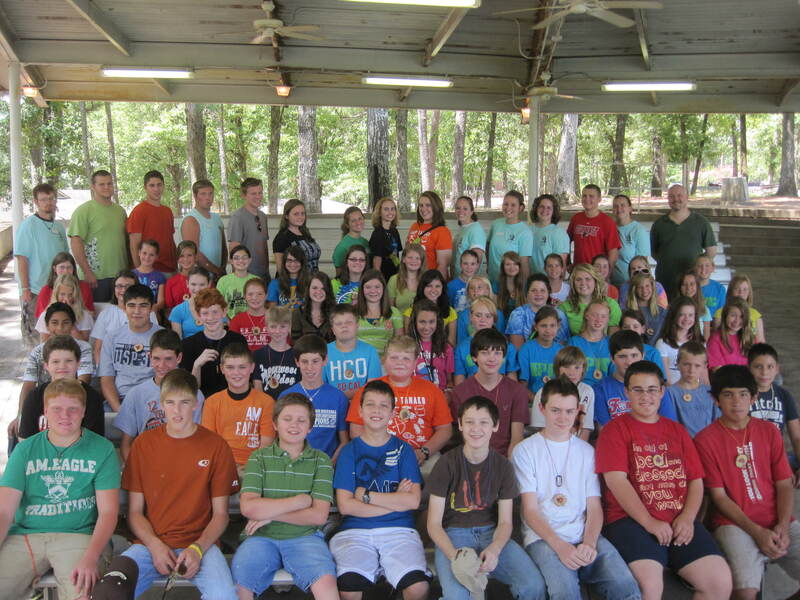 I served as camp dean for Junior High II from 2006-2011 and have served as dean for Senior High Camp since 2012. Watching the sunrise during morning worship in the chapel. 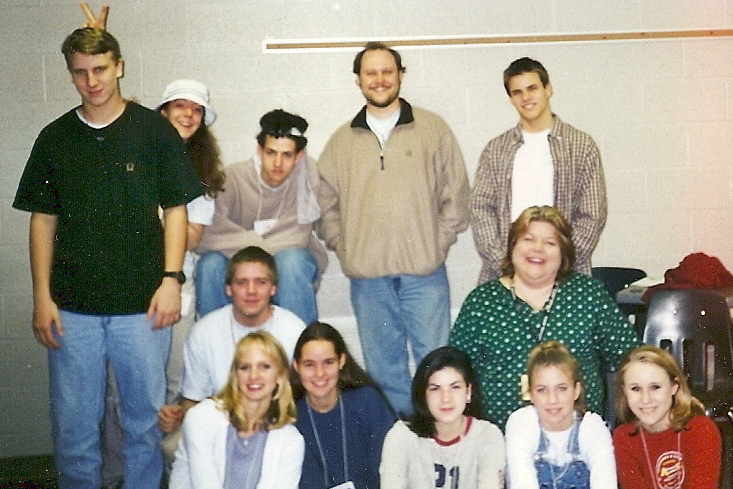 Serving as a volunteer counselor in my mid-twenties helped me to clarify and respond to my call to pastoral ministry. Getting kicked out of the pool by Rev. Carr Dee Racop. The terrifying moment during a water balloon fight when the counselors suddenly realized we were way outnumbered by junior high campers. 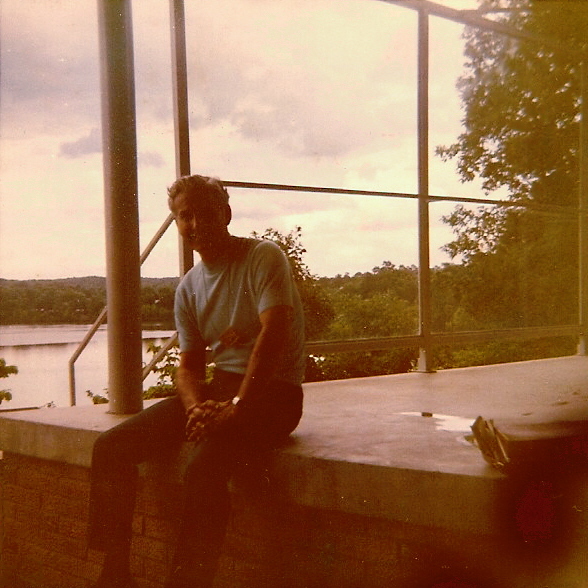 The way Terry Everitt helped me to overcome my homesickness when I was a camper. Digging marbles out of canned dog food with my toes. The first year I was dean, I met this young man named Tyler. Good kid. Big kid. He was one of the boys in my cabin, and he was the kind of kid you like to have in your cabin, just loves camp and wants to have fun, doesn’t bother anybody. That Thursday night in worship, we talked about how Jesus was treated the last week of his life, and the bullies realized they had treated Tyler that way. They seemed to be truly sorry for what they had done, and they apologized to him. Tyler told me he didn’t care what they said. He didn’t have any use for them, especially the ringleader who had been so vicious, and he wouldn’t accept their apologies. A year went by, and Tyler came back to camp. After the worship service Thursday night, some of the boys came and asked if they could go back to the chapel and pray. I gave them permission to go with a counselor and told them I’d be right up. When I got there, I could hardly believe what I saw. There was the ex-bully ringleader, head in his hands, balling his eyes out. He was having a tough time with some stuff going on back home. Tyler was right there beside him, with his arm around his old enemy, praying for him. The facilities are much improved, and the way the camp operates (with staff counselors, etc.) has changed, but the mission of welcoming children, youth, and adults to a place set apart where they can grow in faith by experiencing God in nature, spending time in community, and responding to the call of the Holy Spirit is the same. 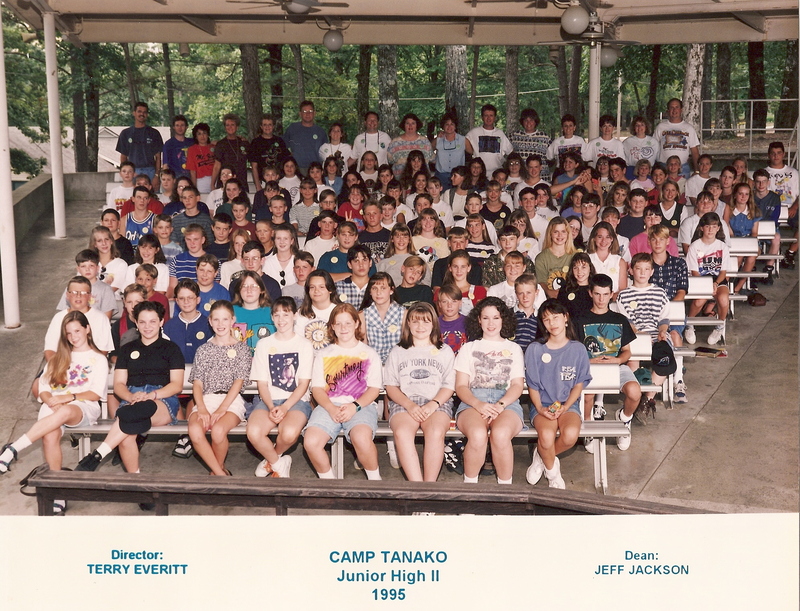 Over the last 25 years, I’ve seen the lasting difference that Camp Tanako’s ministry has on the lives of young people, and I’m grateful to have had a small part of that. It’s the most natural thing in the world to look for God to show up in your life in ways that make a difference to you – like healing someone you love, helping you overcome depression or enabling you to achieve your dreams. But you could be setting yourself up for disappointment if God doesn’t do what you think God should do. So stop looking where you think God should be and start looking where God actually is. When you do, you’ll discover that God’s been in your life all along. Delegates from the South Central Jurisdiction gather for a photo at the GYPC. From left to right: Brooke Hobbs – Central Fayetteville, Miller Wilbourn – Pulaski Heights, Creighton Park – Conway FUMC, Brandon Bates – FUMC Little Rock, and Lauren Lovelady – Piney Grove UMC. 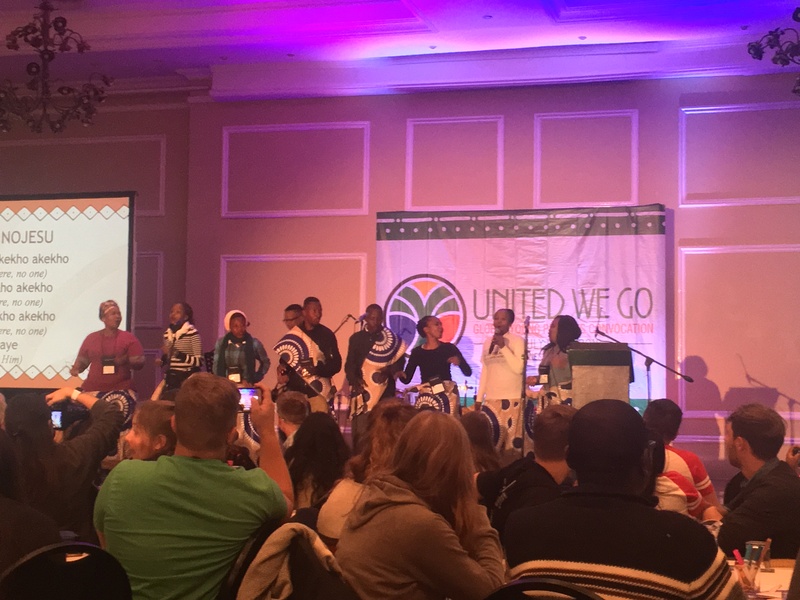 The 2018 Global Young People’s Convocation was an exciting time, particularly for those in the Arkansas Conference of the United Methodist Church. Five Arkansans were selected to attend the GYPC, which took place July 18 – 22, 2018 in Johannesburg, South Africa. These were the most Arkansans that have ever been selected to attend the event, so it was a great honor for the young women and men who were given the chance to go. The GYPC is an event that takes place every four years and brings together youth from all over the globe to a new location every year. While attending the event, youth get to worship God in a variety of languages and expressions; fellowship with their brothers and sisters in Christ from different social, economic, cultural, political, and theological backgrounds; learn vital leadership skills that they can bring back to their home countries; and participate in a Legislative Forum where they will discuss issues being faced by the church and the world in which they live. Lauren Lovelady, one of the five delegates selected from Arkansas, was elected into the Young Adult’s category as a non-voting delegate. While at GYPC, she participated in small groups and workshops where she listened to diverse conversations and shared her opinion with other delegates. When delegates registered for the event, they were able to choose topics that they were most passionate about, and the small groups they were placed in were based around those selections. Lovelady’s choices were Poverty/Economy, UMC Theology and Spirituality, and Sexism/Feminism. She was also able to attend workshops that focused on various topics of global interest. One of the workshops that impacted her the most was a session on climate change. Members of a South African Choir lead worship during a session of the 2018 Global Young People’s Convocation in Johannesburg, South Africa. Brandon Bates, an adult youth worker voting representative from Little Rock, also had a lot to take away from his small group experience. Bates was in a group of nine; three from Germany, one from the Philippines, and the remaining five from the United States. Two of the American representatives from the South Central Jurisdiction were the children of immigrants from Nigeria and Kenya but were born in America. But Bates said that the differences between them were actually a strength. 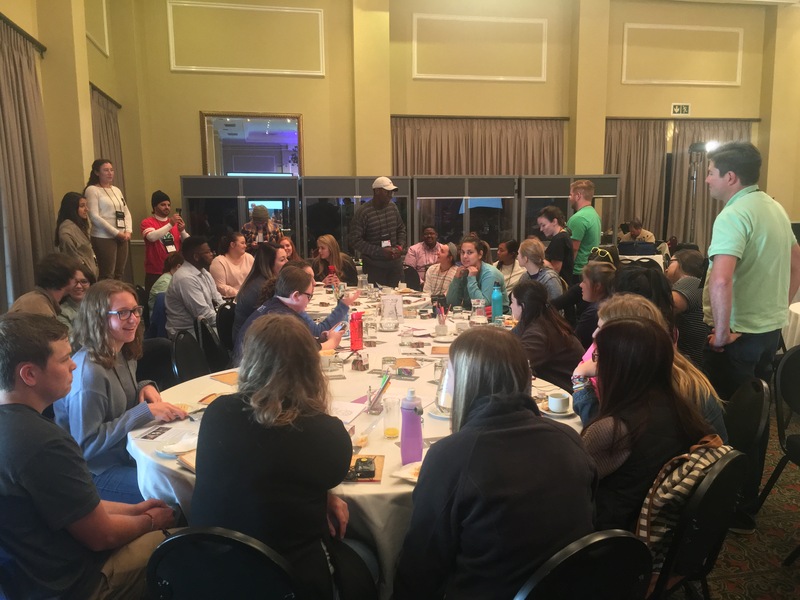 Aside from the applicable knowledge that Lovelady was able to take away from the GYPC, she also had an eye-opening experience learning about the host country where GYPC was held this year, South Africa. With the end of apartheid in South Africa being a relatively new law – apartheid legislation was repealed in the early 1990’s thanks to the efforts of activist Nelson Mandela and others – many of the effects of that dark period of racism and segregation are still felt in the city of Johannesburg. The South Central Jurisdiction from the United States gathered together at a table to discuss their experiences while attending GYPC. Overall, Lovelady sees the GYPC as a vital part of the growth of youth within the United Methodist Church; not just in the United States but globally. Bates also views the GYPC as an important piece of the global United Methodist Church body. 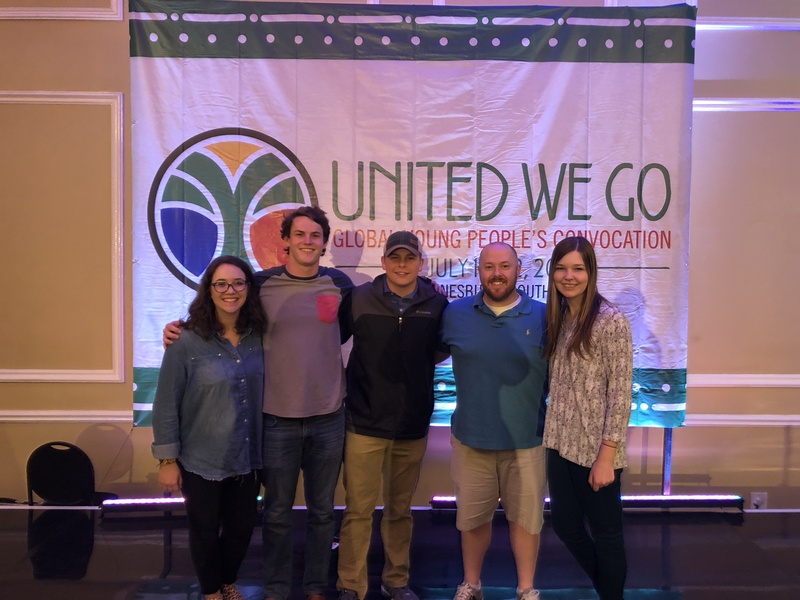 The voices and opinions of young people within the UMC aren’t always fully represented at the General, Jurisdictional, and Annual Conferences, but the GYPC, according to Bates, helps to express those voices in a more unified way. The next GYPC will take place in 2022. For more information on GYPC and this year’s event, visit https://umcyoungpeople.org/about/gypc-2018.